There are a number of exciting special offers at Black Lotus Casino this weekend. Get ready for some fun with Thursday Thunder, Fantastic Friday, Sensational Saturday and Sunny Sunday. Thunder Thursday brings with it an 80% match deposit bonus offer redeemed with the code THURSTHUNDER. Once you complete your match bonus, you get 20 free spins on the Sweet Success slot. Redeem your free spins with the code SPINTHUNDER. Fantastic Friday has an 80% match deposit bonus with the coupon code FANFRIDAY. Next up is 20 free spins on the Captain Shockwave slot game with the SPINFAN code. Sensational Saturday brings with it a 100% match bonus when depositing with the SATSENSE coupon code. Redeem 20 free spins on the Bucksy Malone slot with the SPINSATION coupon. Sunny Sunday takes you to the end of the week with a 90% match deposit bonus offer. Redeem your bonus with the SUNDAYSUN coupon code, and then collect free spins. Get your 20 free spins on the Samba Spins slot game by entering the SUNNYSPINS code. 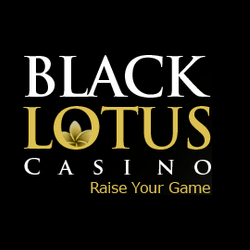 If you are a winner, Black Lotus Casino will deposit your share of the bonus prize money into your account. From the time the bonus funds enter your account, you have 10 hours to use them. If you do not use the casino bonus money during the 10-hour time period, you forfeit the prize. Every single day at Black Lotus Casino, there is a three-hour long Happy Hour between 6am and 9am EDT. If you make a deposit during the Happy Hour time period, you receive 50 free spins. To make Happy Hour even better, make use of seven Happy Hour promotional offers in a row. The casino adds names of all players who play seven Happy Hours in a row to a lucky prize draw. There are great prizes that include gift baskets, free spins, bonus money, and vouchers every single week. Redeem Happy Hour free spins by contacting customer support via the Live Chat option. Customer support gives players the Happy Hour code of the day. Last updated by Shannon on January 12, 2019 .